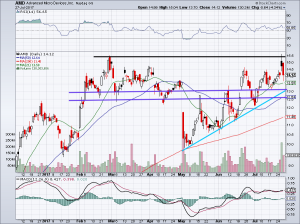 Advanced Micro Devices, Inc. (NASDAQ:AMD) is a trader’s paradise. It has big moves higher and big moves lower coupled with being a low-priced stock constantly in the news. Earlier this week, AMD stock flew higher after beating earnings and revenue estimates. However, Advanced Micro Devices abruptly pulled back despite these strong results. What gives? After dissecting the results, I feel investors can mostly chalk it up to … trading. Analysts seem split on the quarter. Some correctly argued that the latest quarter shows Advanced Micro Devices gaining momentum in key markets. However, others took to arguing about AMD stock and its high valuation, lack of income and low-end products. These points are true, too. In these two cases, one analyst uses a $20 price target, the other, a $5 price target. You can see why the bull-bear debate on AMD stock has heated up so much. My reaction is sort of in between. Yes, it bothers me that AMD trades at a high valuation given the fact that it’s not profitable. However, that’s only looking at an earnings-based valuation, which doesn’t always tell the whole story. On a sales basis, AMD trades at 3 times last year’s result. Competitors like Nvidia Corporation (NASDAQ:NVDA) and Intel Corporation (NASDAQ:INTC) trade at 12.9 and 2.5 times sales, respectively. Against Nvidia, AMD looks cheap and it’s about in line with Intel. Both companies are profitable, so it could argued that AMD is overvalued at current levels. Remember, this is a momentum stock trading in a bull market. It would be one thing if AMD weren’t taking market share. Or if management didn’t provide strong guidance for next quarter and the full-year. Revenue guidance came in ahead of consensus for the third quarter. Full-year revenue is now expected to be up a mid-to-high teens percentage vs. low-teen growth. But it is doing those things and right now, it’s foolish to step in the way. Demand remains strong from Ethereum miners while GPU demand is expected to stay strong, too. AMD is right now launching two new Ryzen processors. This will hopefully help gross margins, which management expects to hit 34% for the full-year, up 300 basis points year-over-year. Despite all this, management still left room to beat on the upside. 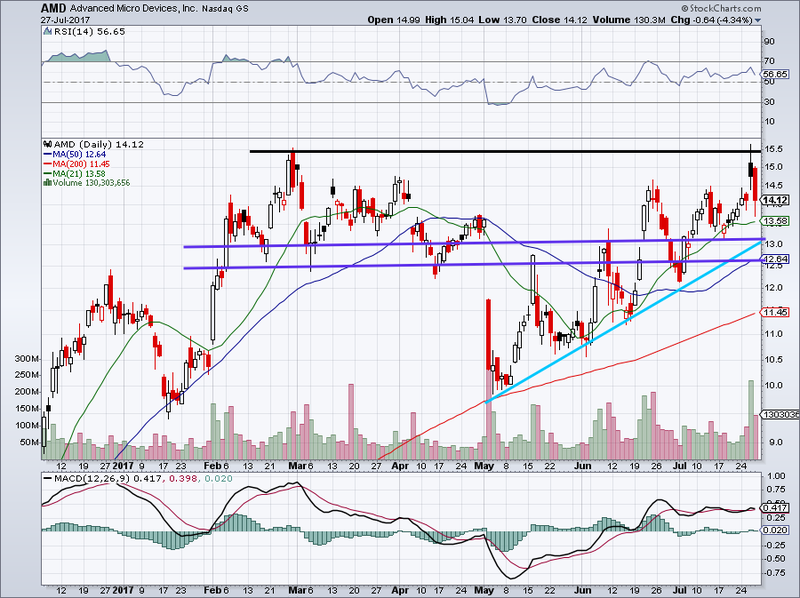 When you look at the charts, AMD has made a very-well-defined, although somewhat volatile, uptrend (blue line). It has also clearly found resistance at $15.50. The stock is now back to the same levels it was at before its earnings. So now what? That pullback was likely a combination of shorts reloading at resistance and longs taking profits. In a stock like this, many very well could have sold their longs and gone short. New investors should watch the $12.50 to $13 area. Support should kick in from previous levels of support (purple lines) and the blue trend line. The 50-day moving average is sitting in between these levels and should also aid in support. Because of all of these support levels, it’s another reason not to short AMD stock. If you’re going to short AMD stock, you better have good reason. “It’s expensive” isn’t a good reason. How many investors have shorted a stock because it was rich in valuation or bought because it was cheap? Too many. If you shorted Tesla Inc (NASDAQ:TSLA) in December and fell into a coma, you’d wake up broke. It was expensive then and it’s expensive now. Nvidia, Amazon.com, Inc. (NASDAQ:AMZN) and a slew of others are the same way. 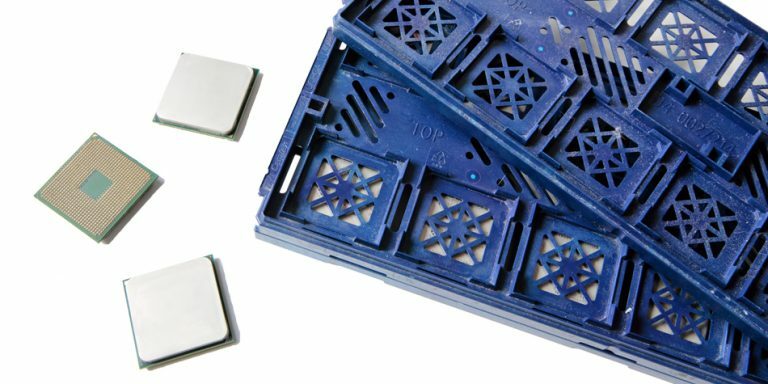 AMD has momentum in the charts and in its business. Net income came in slightly negative for the quarter. But operating income was positive for the first quarter since late-2014. Revenue is growing faster than expected, while margins are expanding — not contracting. That’s tough to be against, especially when you can move with the tide, rather than against it. Not wanting to be long AMD stock doesn’t mean you have to go short. 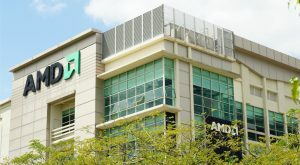 Article printed from InvestorPlace Media, https://investorplace.com/2017/07/advanced-micro-devices-inc-amd-stock-reason/.